There are many myths among roofing contractors surrounding spray polyurethane foam (SPF) systems. Some contractors will tell you about the large blisters their buddy saw on an SPF roof once in 1967. Others are willing to swear that SPF can't withstand a determined bird, let alone a hailstorm. A look at the real world performance of SPF roofing systems goes against the perceptions and the market share numbers. 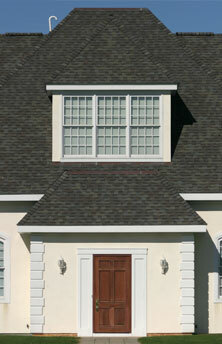 It is time for roofing contractors to take another look at SPF. No roofing system—regardless of the technology involved—will provide long-term performance unless it is installed properly. The construction industry is one of the riskiest endeavors in the United States in terms of business failures. From 1990-1997 more than 80,000 contractors failed, leaving behind $21.8 billion in liabilities1. A possible reason for this high failure rate among contractors is found in a survey conducted by Engineering News Record: 42% of the projects surveyed finished late, 33% were over budget, 13% had pending claims, and only 53% of the owners would ever use the same contractor again2. Good contractors recognize that it is the low-bid awarding of contracts, poor workmanship, poor quality or insufficient training, and minimal attention to customer service practiced by their less professional peers that can take partial blame for this abysmal showing by the contractor community in this study. SPF manufacturers, equipment manufacturers, the National Roofing Contractors Association (NRCA), the Roof Consultants Institute, and the Spray Polyurethane Foam Alliance (SPFA, www.sprayfoam.org/) have all made a commitment to quality control through training and education in the SPF industry. The SPFA Accreditation Program provides the industry with up-to-date training in the application of spray polyurethane foams, coatings and good business practices. State-of-the-art training facilities (such as those located in Houston, TX, or Hudson Falls, NY) offer hands-on and theoretical training programs from the history of SPF roofing to final inspection of a new roof, including chemicals, safety, equipment, construction details, application techniques and maintenance. Another contributing factor to developing a top-quality installation is third-party inspection of installed roofs. Independent inspectors measure new installations against recognized industry standards and job/installation specifications: surface texture, foam and coating thickness and consistency, and evidence of ponding (less than 10 x 10 feet of ponded water, 48 hours+ after rainfall), to name a few, and are given a rating. Deviations are subtracted from the score. One major SPF manufacturer currently shows more than 3,000 roofs with an inspection score of 10 out of 10 in its warranty database. Analysis of the same manufacturer's warranty database indicates current performance problems such as blistering have dropped by more than 60%, and edge details problems have been reduced by more than 80% in recent years.